We cannot take credit for this mod. 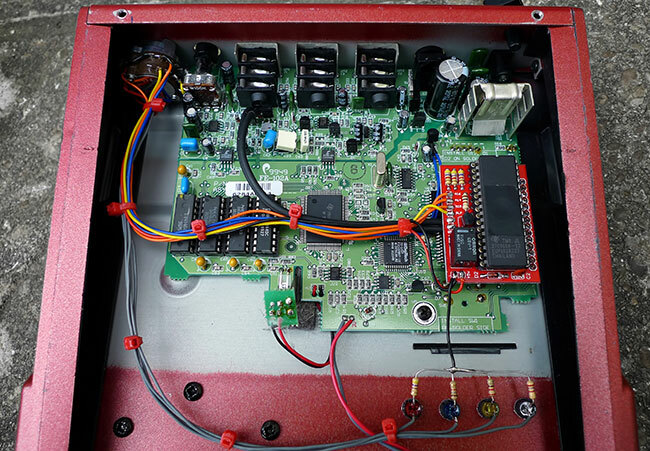 It was originally developed on the diystompboxes forum by Greg Redman (Govmnt_Lacky), Zeke Rice-Grey (Prehistoricman), and Dino Tsiptsis (digi2t). You can find the original massive thread HERE. We have added a couple of minor tweeks and designed a custom PCB but other than that, this mod is much the same as can be found in the XP ALL build instructions PDF's from 2012, that can be found around the net. 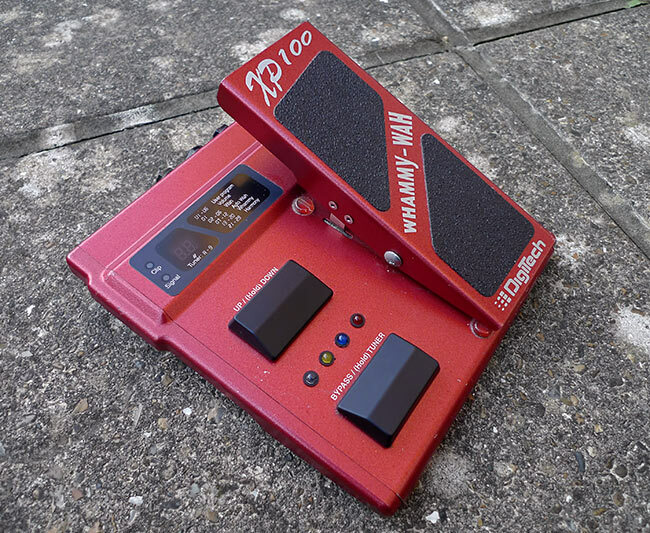 The XP100 Whammy/Wah, XP200 Modulator, XP300 Space Station, and XP400 Reverberator are all more or less the same pedal internally, just with a different operating system onboard. Essentially what his mod does is to take any of the Digitech XP series of pedals, and add a switchable operating system EPROM that means you can install all four of the XP pedals in one enclosure, and change which pedal you are actually using whenever you want. As the XP300 is possibly one of the most bizarre pedals ever made, and is correspondingly much in demand, for a good condition one you'd probably be looking at paying £350-£400. 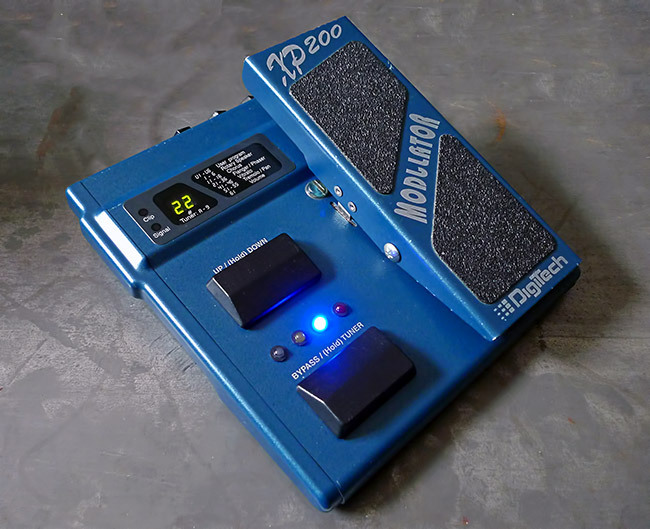 If nothing else, this mod is a way of getting hold of a XP300 for a hell of a lot cheaper than you'd pay for the real thing, with the other XP pedals thrown in as an added bonus! Our version of this mod adds a custom designed PCB that you can see on the right hand side of the image above. This mounts the new EPROM in the socket on the main PCB thats normally reserved for the standard OS EPROM on some early XP100's, although it is usually an empty space on later versions and other XP pedals. On these versions the actual socket for the new PCB to slot into needs to be added. On the XP100 you will also need to add three extra RAM chips, and a selection of extra components as detailed in the PDF guides, although these should already be present in other XP models. Some XP100's have more components palready present than others. The board also includes a relay and associated protection circuit. 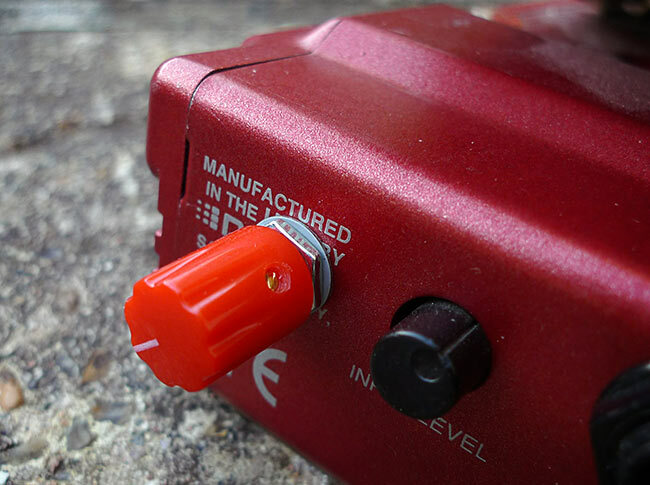 This allows for output switching to account for the fact that the XP100 is a mono pedal with a wet and dry output, where as the other XP pedals are all stereo. The rotary switch on the top left of the image above selects which operating system you want to use. The OS can be changed at any time and the pedal is freely switchable between the different versions without having to unplug anything or restart. On the front panel theres four new LED's that show you which XP pedal you are currently using. 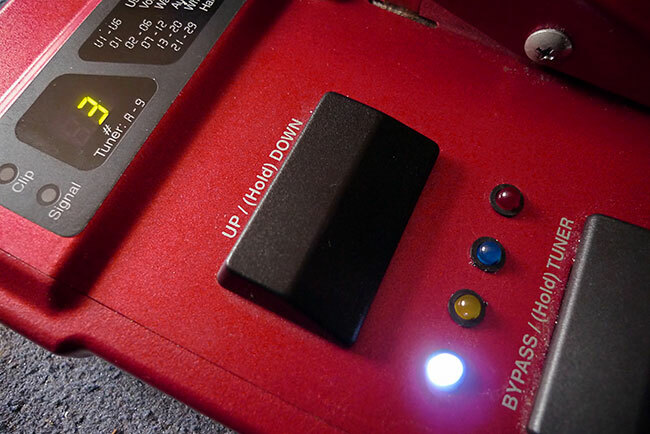 The colour of the LED's correspond with the colour of the casing on the original pedal. These are red for the Whammy/Wah, blue for the Modulator, yellow for the Space Station, and white for the Reverberator. One quick tip; if you're going to try this kind of mod yourself, remember that the XP range use an internal LED and an optical sensor instead of a potentiometer to determine the pedal position. This means if you install LED's like we have above, then any internal light leakage from the back of the LED's is going to effect the sensor and change the response curve depending on what LED is lit. To combat this we filled the back of the LED mounts with epoxy resin glue, and then once it was dry we blocked any light escaping through the glue surface using a completely opaque silver paint pen. Another option would be to use black glue gun glue, or just use sealed LED mounts. Dozens of demos of the Digitech XP series can be found on Youtube. We won't be putting this up on the site as a standard mod that we'll be installing on anyones XP pedal, as a lot of the parts such as the rotary switch and the RAM are specialised things we wouldn't normally keep in stock. Having said that, we might do it as a special request if we have parts available, although we don't generally offer other peoples mods. 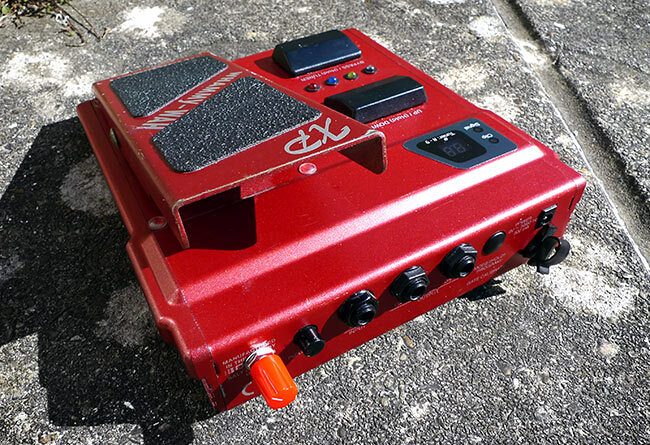 This is a XP200 Modulator pedal, converted into an XP ALL pedal.